Cranleigh School opened in 1865 and three years later some of the earliest pupils returned for a reunion for what within a decade was to become a major annual reunion over the Whitsun weekend. Hundreds of OCs would descend on the village for three days of sport and chapel. In late 1881, Henry Casswell, who arrived as a pupil and finally left after more than two decades as a teacher in 1894, first mooted the idea of an OC Social Club. The response was good enough for him to organise a dinner in Holborn on January 25, 1892 to which 50 old boys turned up. The dinner has been held every year since, excepting breaks for the world wars. Full-time sports clubs had started to be formed, the OC Football Club the first in 1886, and social clubs centred in London also sprung up. An OC Social Club was founded in 1894 and there were also regular dances (often referred to as Cinderella Dances) and smoking evenings. There was even a Provident Society. The final and longest-lasting social as opposed to sporting group came in 1925 with the founding of the OC Lodge which continues to thrive. Sports Club Notes a regular newsletter covering all OC activities, started in 1890 and continued for the next seven years before being subsumed into the Cranleighan, remaining as such until it again ceded to become the Old Cranleighan in 2002. In 1897 old boys’ activities were all brought together with the establishment of the Old Cranleighan Society. By 1902 it had 400 paid-up members, a small proportion of more than 3000 boys who had been through the school by then. OC events almost stopped at the outset of World War One – the Whitsun gathering and the cricket continued in a much scaled-down and subdued manner. In all, 133 Old Cranleighans died during the war, an almost identical number (136) as in World War Two. After both wars it took some time for things to resume. As the school had replaced football with rugby in 1916, the OCFC made way for the OC Rugby Football Club, launched in 1919. For almost a decade it led a nomadic existence in north London until after two years searching, a home was found at Thames Ditton. Funds were raised and in November 1928 the new venue opened, a base for the OCRFC and the OC Hockey Club which was also formed that year. In the 1930s the OCs’ prestige came mainly through the OCRFC which boasted several England internationals and were one of the leading club sides in England. The daily newspapers carried regular match reports and large crowds watched matches. World War Two again caused a cessation of all activities outside the Whistun reunion, while Thames Ditton was requisition by the authorities. As was the case 27 years earlier, things took some time to resume and the first full season after the war the ground was unusable. For many years old boys had played an active part in school life by virtue of a strong presence on the School Council (what was to become the governing body). The first OC had joined in 1896, and by the 1950s the chairman, Charles Windle, was an old boy. It was under his tenure one of the school’s most controversial affairs happened when the headmaster, Henry March, was forced to resign after a virtual coup instigated by HP Jacob, an OC as well as the second master. The Society continued to administer OC affairs, Thames Ditton rolled on as the base for the OCRFC and OCHC, but by the end of the century the OC Cricket Club had become the flagship constituent club with ambitious overseas tours and a series of Brewers Cup victories followed in 2007 by admission to the prestigious Cricketer Cup. The traditional dinner gradually gave way to alternatives aimed at a younger audience; the 350+ who attended the OC Ball in 2007 was a record for any such event. 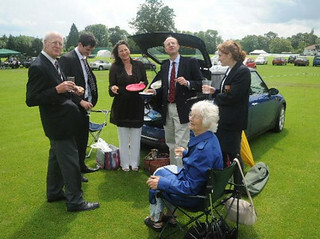 In 1976 OC Day was merged with the school’s own Speech Day, ending 109 unbroken years of reunions. The joint day continued until 1999 when at the school’s behest it was separated. OC Day on its own was a pale imitation of what had gone on before, although a memorable day in 2009 rekindled the old bonhomie. In 2010 the two days will again be amalgamated. In 1996 a new direction was taken with the appointment of Mike Payne, a former teacher at the school, as a liaison officer, co-ordinating reunions and publishing a new three-times-a-year magazine, Contact. An OC website followed early in the new Millennium. Old Cranleighans have always generously supported the school with many buildings funded partly or wholly by former pupils. 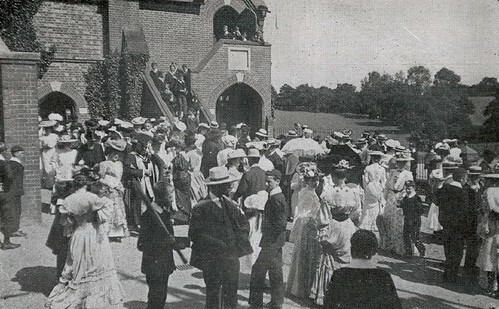 In 2009 the OC Society itself invested £300,000 in the refurbishment of the Jubilee pavilion, itself a donation by OCs in 1924 as a memorial to those who fell in the Great War.